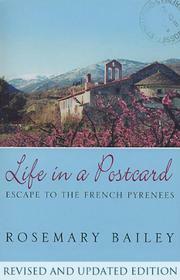 Travel writer Bailey vividly describes moving her family from England to the French Pyrenees. Early in this story, as the author tells of fixing up her newly purchased, 16th-century monastery with ochre lime mortar and terracotta tiles, readers may dread the prospect of yet another winsome tale of a delicious rural hideaway discovered by a vacationing couple and renovated by a force of colorful local artisans into the perfect bijou residence. But anyone who read Bailey’s account of her brother’s death (Scarlet Ribbons: A Priest with AIDS, 1998) will know there’s no danger of sentimentality. She fully delves into the act of living in a decrepit monastery. As she and her husband chip away at plaster in an effort to expose the original design, she tries to imagine what it was like to live there as a member of the brotherhood of Servites (“an Italian order dedicated to the sorrow of the Virgin Mary”) or as the hermit who kept the candles burning for the dead and rang the bells to scare away thunderstorms and witches. She becomes familiar with the local peach farmers (squabbling with some of them) and with the nouveaux paysans, an international band of slow-living, artful people who live in the hills of the region. She contends with the everyday aggravations—rampant brambles, rats in the attic, her newly developed hay fever—along with the everyday pleasures: her son's new school, Catalan food, the experience of living in a new place, which keeps her alert to everything from changes in the seasonal light to learning the common courtesies. All this while she has to work to pay the bills and ensure the well-being of her son, whom she feels guilty about having so rudely uprooted. Very human in its scale, concerns, and aspirations: the kind of story that could light a fire under a reader’s dream of flight to the warm south.